Just starting out as a beginning copywriter? It is necessary to speak the language of your ideal prospect in your writing content samples. This is something you can learn to do when you understand how your ideal prospect thinks. They each speak their own language. This book reveals how to understand and THINK like YOUR specific type of client so you can write like they think. Do you really understand how to talk with your target audience? If so, you use the same keywords that prove to them you “get” what really matters to them. Stop rubbing your target audience the wrong way. Start talking like the way they think. Build a meaningful, long term relationship with them. Business is all about relationships! Brainview: What Does Your Brain Think of You? 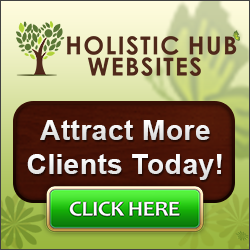 helps you understand you, what your clients really want. When it comes to copywriting in the language of your ideal prospect and their target audience, this books makes it obvious. If you like being prepared for all types of clients but don’t know how to get inside their head, this book is for you. At only $29.95 you’ll wonder how you ever got along without it. Get your copy of Brainview: What Does Your Brain Think of You? instantly now!